As my regular readers will know, hardly a day goes by when I don’t feel blessed for all the abundance my life has to offer these days. 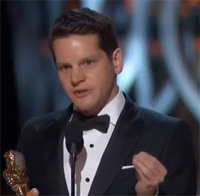 But it was not always so… It’s for this reason I was so moved by (screenplay writer of the Imitation Game) Graham Moore’s short Oscar acceptance speech this week. Despite feeling secure when things are going so well, I understand how close we all are to reliving that chaos life can throw at us. 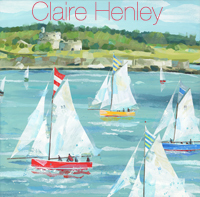 Be it emotional or financial issues, life’s challenges can find us off guard when we least expect it. It’s for this reason I feel how we’ve acted through these secure times is what becomes so important. Being openhearted, empathetic and generous with your life when you’re in a position to do so may not pay immediate dividends or even receive thanks, but I feel it’s important and worthwhile to share at those times. Being generous because you know just how fragile life is, I feel, is reason enough to give back when we can. When life finds us down on our heels, it’s exactly then that receiving a generous gift of time, money or just understanding can mean so much. Of course, not every gift has to be, nor should be as big as Graham Moore’s magnanimous ‘moment’ on one of the biggest stages on the planet, but if we feel blessed by what we have, imagine how it would feel to receive ‘that’ gift from someone like ourselves when we were at the worst moment of our lives. Only then does it become clear how much that can mean. I wish you continued fortune in your life and thank you for the generosity you bestow on others, even when they may not realise it or thank you themselves at that moment… it’s unquestionably a priceless gift. After all, it’s only in the doing that we define who we are. And who knows, maybe your gift could be the one gift that changes a person’s life forever. So, on the subject of gifts, my beautiful stable of artists have been excelling over the colder months and the benefits of their hard work are starting to cover my walls right now! 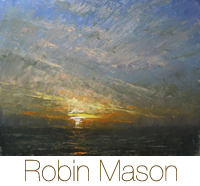 Undoubtedly the star of this month has been Robin Mason whose paintings have been selling like hot cakes! 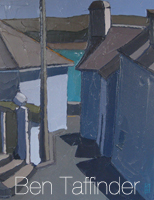 So he’s just been in with some newbies (one of which has already sold!). You can check those out here. 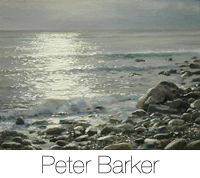 Ben Taffinder has been steadily replacing the mountain of work he sold in his December/January exhibition and you’ll find some corkers on his page. 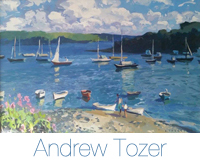 Andrew Tozer will be in very soon with some new works, so keep your eyes peeled for those puppies here, and in the mean time, the ever popular Claire Henley has brightened up the village with her uplifting new pieces just last week… more of those here. 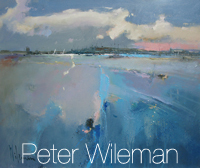 I’ve been really excited by how incredibly overwhelmed everyone has been about Peter Wileman’s incredible work. I don’t know why, as it’s the reason I approached him in the first place, but I guess it’s great to have confirmation from many of the customers who’ve been in! You can see his exciting work here. 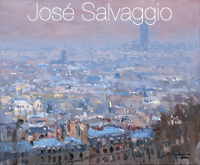 And the two new Parisian scenes from the incomparable José Salvaggio are just incredible, too! You should really have a closer look at those puppies here… C’est pas possible! 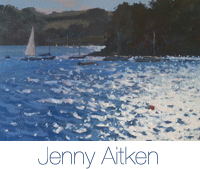 Lastly, and by no means least, the success of our newest star, Jenny Aitken, just goes from strength to strength and we’ve just had in some new work from her as well… just sublime! 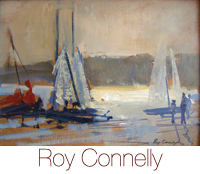 So, with promised work from Roy Connelly, Phil Johns and Peter Barker on their way and some Neil Boltons not far from being ready, it’d be a crime not to spend a few moments to browse the website this month. Eat yer hearts out, me lovelies, and thanks for being you! 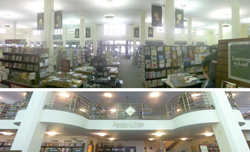 After visiting this beautiful Art Deco bookshop in Santa Rosa on my hols, I got to thinking about the sad demise of bookshops – a sign of the times, I guess. And that, in turn, got me thinking about how one should always reassess their decisions and opinions as we change as people. After all, no one remains the same. As a person who sells a lot of artwork online and now has launched a global website for the safe resale of pre-owned art, ArtRehome, am I also being complicit in the demise of my own ‘golden goose’… physical galleries? …read more.